← A hex upon you! 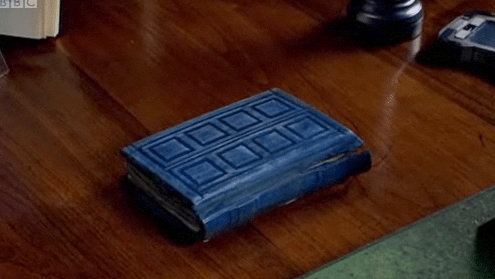 EDIT– And for anyone else who’s confused, it’s River Song’s book originally from the Doctor Who episodes, Silence in the Library and Forest of the Dead. I quite like it. It’s Tardissy. This entry was posted in Imported from Livejournal and tagged off topic. Bookmark the permalink.